Facilities: Restrooms are located upstairs off the mezzanine lobby. A wheelchair accessible restroom is located downstairs. The ushers can direct you to the nearest restroom. 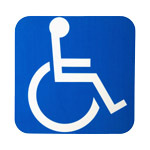 Services for Persons with Disabilities: The Missouri Theater is committed to providing services for persons with disabilities. Accessible seating is available. Be sure to mention your interest in accessible seating when placing your ticket order.